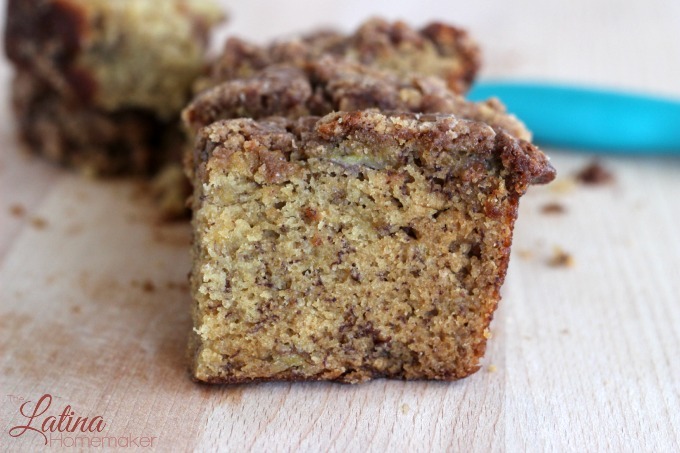 A DELICIOUS AND MOIST BANANA BREAD THAT IS TOPPED OFF WITH A CINNAMON CRUMBLE FOR THE ULTIMATE TREAT. THIS RECIPE IS A MUST TRY! Anyone else have a crazy busy week? I thought I was finally slowing down, but suddenly things just took off again. However, I’m super excited because I’m looking forward to some awesome projects in the near future and can’t wait to share with you all. In other news, the other day I decided to make a Cinnamon Crumble Banana Bread since I had some bananas that I knew would be spoiling very soon. 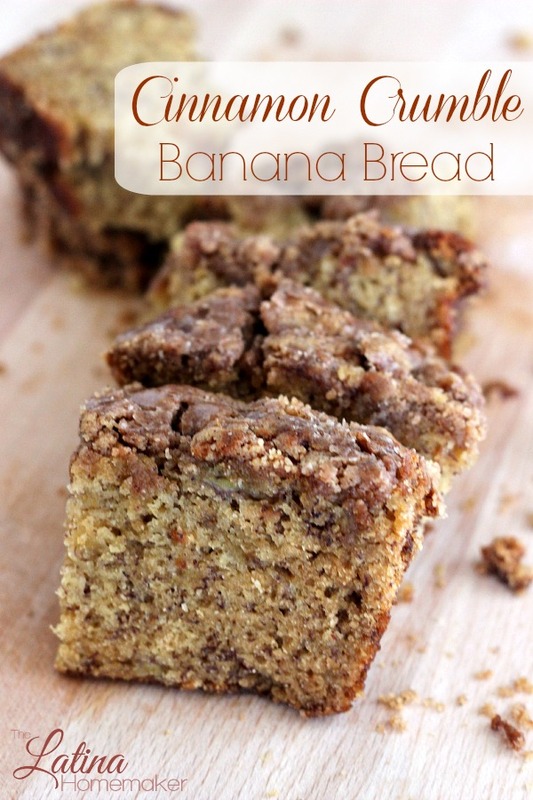 This banana bread recipe is my favorite and it’s also a crowd pleaser. The flavors work well together and the bread pairs up well with a cup of coffee or tea. Feel free to tweak the ingredients to make it your own. In the past, I’ve even added chocolate chips to the banana bread for the days when I’m craving chocolate. Whisk eggs, buttermilk, and oil together. Mix well and set aside. Add flour, salt and baking soda and cinnamon to a separate bowl. Stir to mix the ingredients well and set aside. 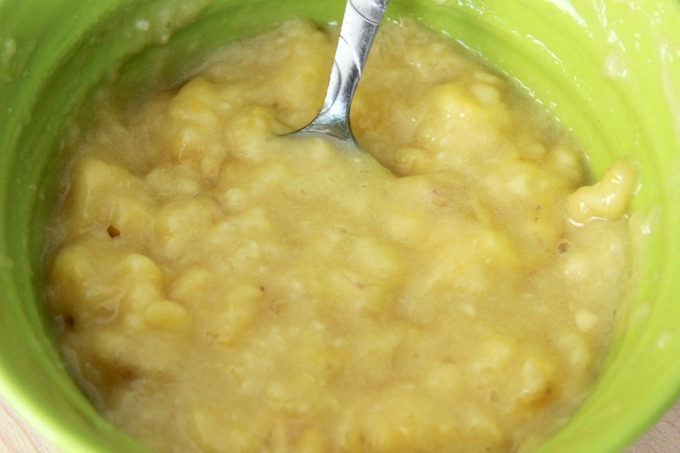 Add white sugar, brown sugar, mashed bananas and vanilla to the egg mix. Stir until it’s mixed well. Add flour mix and stir well until ingredients are mixed. Pour bread mixture into a greased 9×5 pan. For the crumble topping. 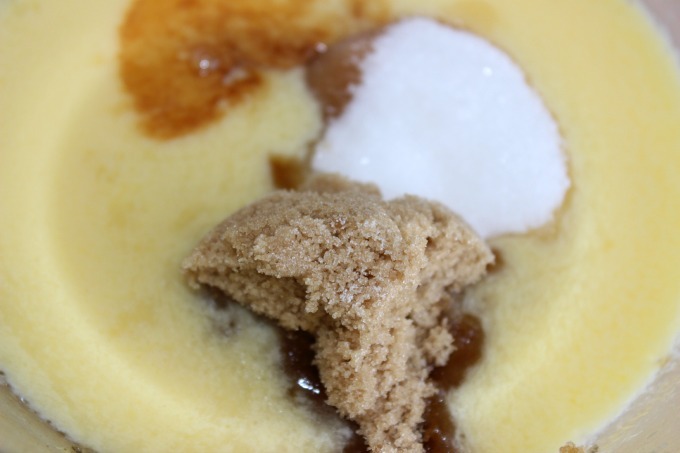 Add brown sugar, flour, and cinnamon to the softened butter. Mix until the mixture begins to look lumpy. I find that mixing with a fork helps. Break up larger pieces with fingers if needed. 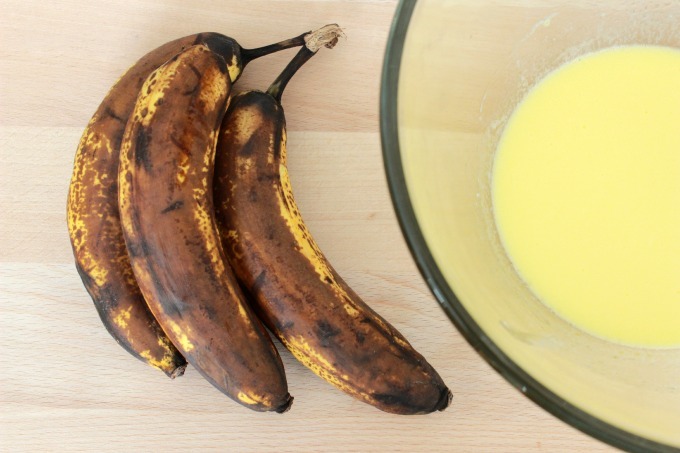 Sprinkle the topping evenly all over the banana bread mix. Bake at 325 degrees for 75-85 minutes, check with a toothpick to ensure the inside is done. The first time I made this, I baked it for less time and it was a bit mushy inside although it appeared done on the outside. If you want to bake it in less time feel free to cover with aluminum foil to speed up the process. Cut a slice and enjoy the banana cinnamon goodness. Now my slices look smaller in the photos because I used smaller loaf pans this particular day since I was making more than one loaf. Do you like banana bread? I do enjoy it, but my husband absolutely loves it so I make it to please his banana bread loving heart. Whisk eggs, buttermilk, and oil together. Mix well and set aside. Add flour, salt and baking soda and cinnamon to a separate bowl. Stir to mix the ingredients well and set aside. Add flour and stir well until ingredients are mixed. Pour bread mixture into a greased 9×5 pan. 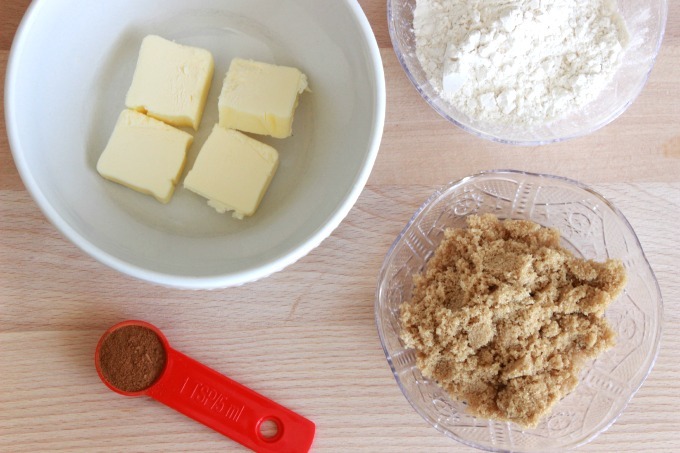 For the crumble topping; add brown sugar, flour, and cinnamon to the softened butter. Mix until the mixture begins to look lumpy. Break up larger pieces with fingers if needed.